We are pleased and privileged to present the work of Yvonne Singer, a distinguished Canadian artist who is respected for her contributions as both a practicing artist and educator. In her current exhibition at KWT, Singer presents two neon installations ("IIIII wawawawant " and "if only ") as well as two versions of an editioned installation in plexi, an homage to Louise Bourgeois: "I do, I undo, I redo". 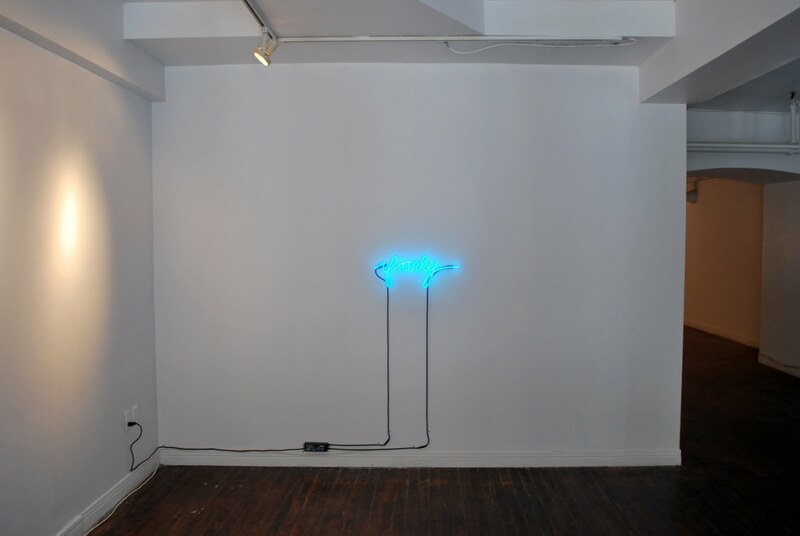 Singer's exhibition was installed at the gallery on May 31, one year to the day from Bourgeois' death in 2010 at age 98. 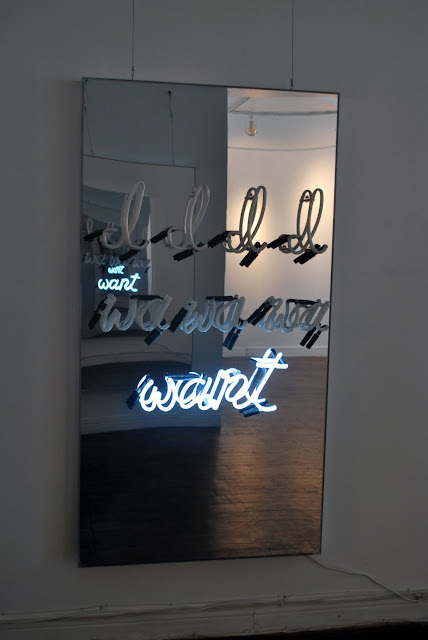 "I I I I wa wa wa want" is an installation with neon letters, mounted on a pair of opposite-facing mirrors. The self-reflecting mirrors create the illusion of repeating the words to infinity as well as implicating the viewers who are also reflected in the mirrors. The work speaks to our desires. Neon signs are familiar signifiers of commerce in our urban setting and the media advertising that surrounds us promotes our endless desiring. Who doesn't want something? Who hasn't looked longingly at a shop window? 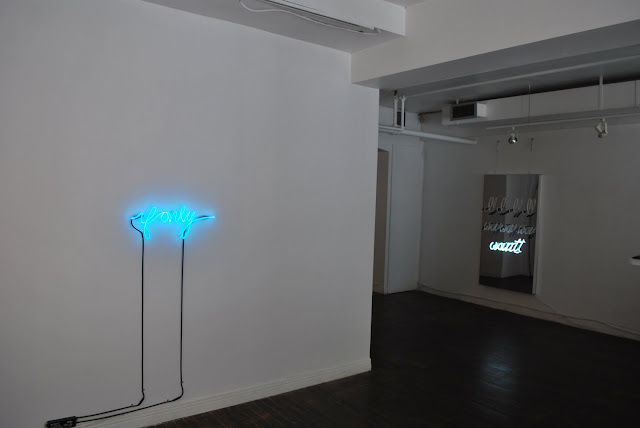 ..."if only" is an excerpt from a longer neon work with 3 other phrases; I should have, I could have, I would have... ...if only. The phrases are a lament that references regret and longing for unfulfilled desires as well as a response to social expectations. By reading the words, the viewer is at once in both a public and private space. 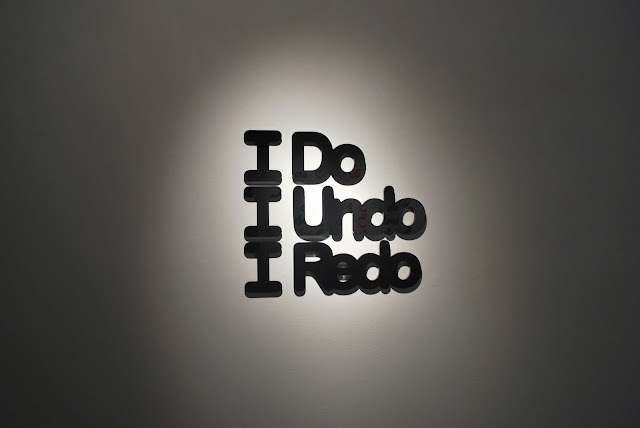 ...."I do, I undo, I redo" is a phrase borrowed from the title of Louise Bourgeois' site specific installation at Tate Modern in 2000. For Singer, the phrase succinctly describes the creative process and also functions as a metaphor for the endless routine of our daily life. It can be interpreted pessimistically as a dead end or optimistically as the opening of creative possibilities. The script version (a rendering of Singer's own quirkily charming handwriting) of this plexi/acrylic installation is presented as a multiple, in an edition of three in each of several colours. 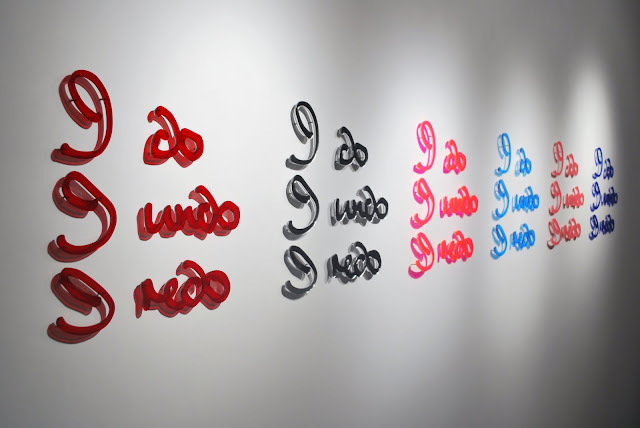 The typographic version of the same phrase consists of Singer's modification of classic Helvetica, presented in three one-off plexiglass renderings in red, blue or black. 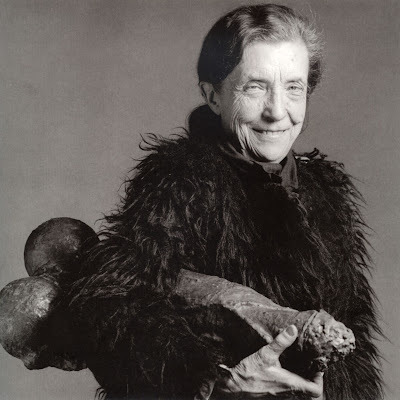 Can't resist ending this post with Mapplethorpe's 1982 portrait of Louise Bourgeois and her sculpture, "Fillette (1968)".